Is your mouth watering at our juicy steak and burger menu but are you feeling a bit guilty about gorging on “unhealthy” red meat? Worried about all of that saturated fat causing you an early heart attack? Well good news: red meat in moderation is officially great for your body! So you can enjoy high quality succulent steaks and perfectly grilled burgers without feeling guilty. Perfect! So why is steak good for you? Firstly, the saturated fat in steaks is not necessarily bad. Evidence suggests that the effect of different saturated fats on health varies. In fact, Stearic acid, which is a type of saturated fat present in beef as well as pork and skinned chicken, could help protect you from developing heart disease. A number of studies have demonstrated that stearic acid does not have any negative impact on cholesterol or increase the risk of cardiovascular complications in any way. One investigation published in the American Journal of Clinic Nutrition found that consuming a portion of lean beef each day actually improves cholesterol levels, something which could be attributable to stearic acid. Participants in the investigation found that five weeks into the lean beef diet, their total cholesterols fell by five percent. Moreover their level of LDL cholesterol decreased by 4 percent. A lean cut of beef could be a cut of sirloin, which is served at Peacock Alley. Sirloin is lean because it comes from the upper side part of a cow, which generally does not have too much fat. Overall, Sirloin has very low levels of saturated fat and total fat. A three-ounce sirloin steak has around eight grams of fat, out of which just three grams are saturated fat. Therefore, if you are trying to lose weight that need not mean you should miss out on a nice tasty steak at our place once in a while. A handy tip if you are trying to eat healthy is to read blogs by other dieters. For example, kwikmed.org suggests some great blogs that “combine handy hints for healthy living with personal experiences and amusing anecdotes”. Steak is also healthy for other reasons. For one, it is extremely high in protein and is therefore a great thing to include in your diet if you are working out; protein is crucial for muscle growth and the recovery of muscles following a tough workout. Moreover, steak is packed with iron, which is fundamental to attaining the high energy levels to get you through the day. This is because iron is responsible for ensuring that oxygen, which you inhale gets to your organs and muscles. Therefore, if your iron levels are low, your oxygen consumption drops and this, in turn, has a negative effect on energy levels. Steaks are also high in vitamin B-12, which is crucial to the functioning of the brain and nervous system. B-12 is also important to the health of all your red blood cells. A vitamin B-12 deficiency, otherwise known as hypocobalaminemia, can be very serious. It happens to people of all ages and late diagnosis is a big issue. If a Vitamin B-12 deficiency is not treated for more than half a year then it can permanently damage your nervous tissue. Red meat is also rich in B-2, B-3 and B-6. These B minerals help make your skin healthy, boost the digestive system, help unleash energy from carbohydrates, maintain the immune system and also work to keep blood sugar levels at a healthy level. Read meat also has high levels of Zinc and Phosphorus. Zinc is a fantastic mineral because it contributes to making your immune system healthy. It also helps your body to synthesize your DNA properly. It is crucial for growing children and for healing wounds. Moreover, phosphorus helps your body maintain a good pH level and creates energy. Of course, steak quality varies. 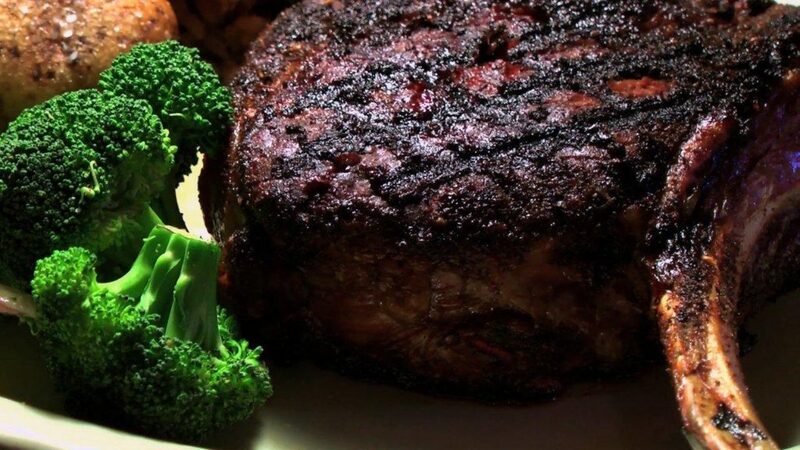 At Peacock Alley all of our steaks are made from Certified Angus Beef. Certified Angus Beef is a nonprofit label which aims to set a high standard for beef. In order to qualify for Certified Angus Beef status, the meat has to conform to 10 quality-related criteria. Due to this rigorous set of criteria, just 1.5 percent of beef in America obtains the Certified Angus Beef specification. That is not to mention the fact that we believe that Certified Angus Beef is the best-tasting beef around. It tastes fresh, juicy, tender and, quite simply, like high-quality meat should. So don’t feel bad about treating yourself to a delicious steak once in a while. It is packed with wonderful protein and minerals. And a lean cut like sirloin might actually be good for you!